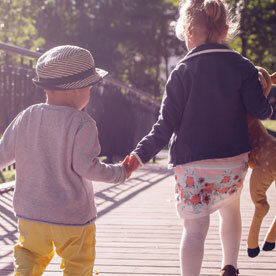 During this age range, your child will not only learn and grow, but they will also begin to prepare for the next step in their academic career. This is a time when they will learn how to properly behave in a classroom, different lessons and skills, and develop a love for learning. 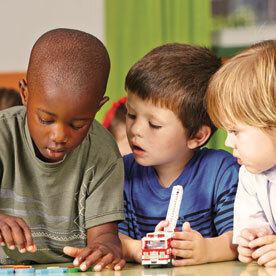 Preschoolers need a curriculum that helps them develop a love of learning, as well as the support of caring teachers. Using a theme-based approach, our preschool teachers introduce the children to STEM topics, as well as language, art, and social science. Our curriculum fosters curiosity, independence, and self-confidence. During their time in this program, your child will learn and grow to prepare for the next stage of life. At Inch By Inch, our preschool program consists of three groups: Junoir/Preschool 1 for our youngest preschoolers just transitioning from toddlers; Preschool 2 for our confident 3 ½ to 4 year-olds; and Pre-K for children preparing to enter kindergarten. Each classroom reflects the social, emotional, and educational needs of these age groups. These spacious rooms provide ample space for the children to explore and grow. Our smaller group size of 1:8 ensures the teachers will meet the individual needs of each child. We provide stimulating and nurturing environments that feed your child’s curiosity and allows them to become more independent learners. Each classroom participates daily in both large and small group activities, including circle time. Weekly themes emphasize literacy and math skills. The Preschool 2 and Pre-K classes use the Handwriting Without Tears program to develop and master upper and lower case handwriting. Pre-K also uses the Primary Phonics program to become emerging readers by the time they enter kindergarten. During circle time, children hear stories that encourage creative and critical thinking skills. 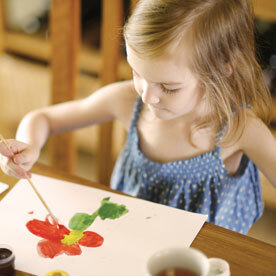 These classrooms include blocks/manipulative play, art, dramatic play, and sensory activities. The preschool and Pre-K classes have their own dedicated playground. Indoors, each class has use of the gym for gross motor play. Get your children an early start before they get to kindergarten! 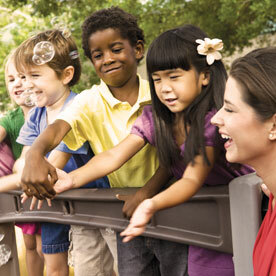 Our preschool and Pre-K programs can help your child learn, grow, and develop a love of learning. 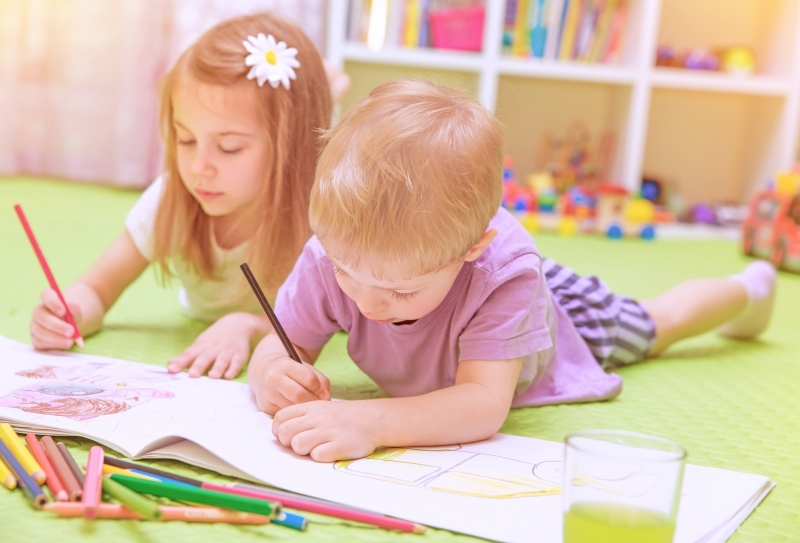 At our child care center, we will prepare your child for the next step in their academic life. Schedule a tour or contact us with questions!